Illustrator files are scalable and suitable for high resolution print publications, signs, and banners. To remain sharp and crisp, JPEG files should not be enlarged and are recommended for Web and electronic use only. 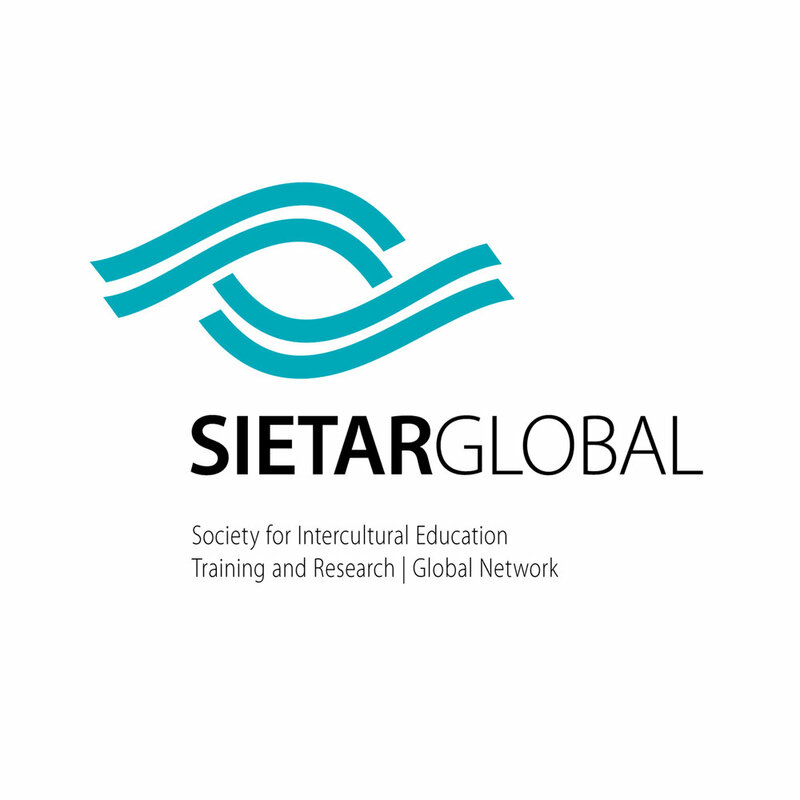 The SIETAR logo consists of three components: the logo image, the word SIETAR with a country name, and a tagline. These components are placed in a fixed relationship that should never be altered, modified, or recreated in any way. 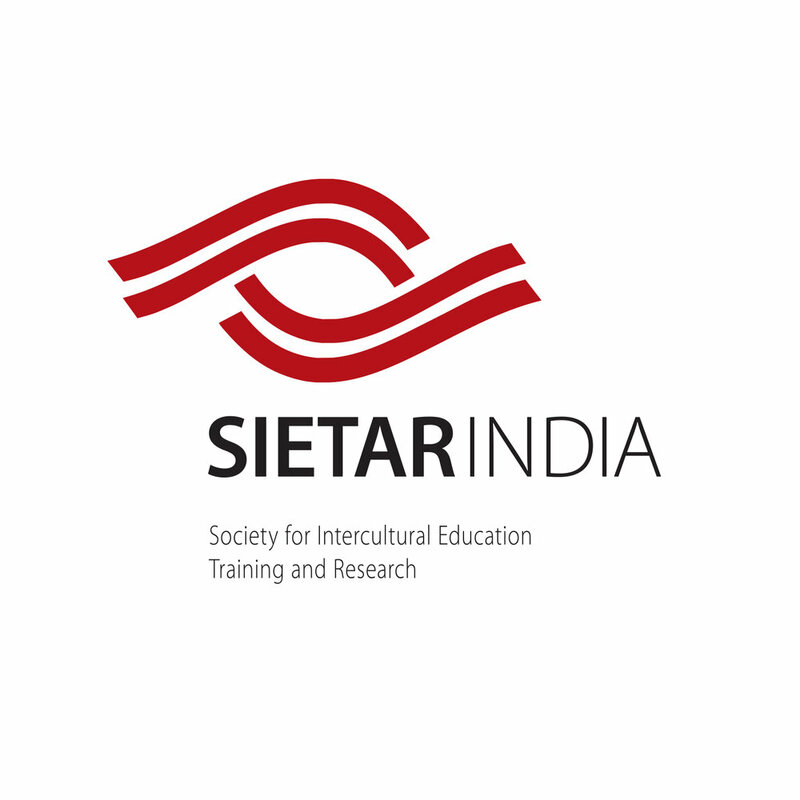 To ensure its integrity and visibility, the SIETAR logo should be kept clear of competing text, images and other marks. It must be surrounded on all sides by an adequate clear space as shown. The logotype font is Myriad Pro Semibold (SIETAR) and Myriad Pro Light (Country Name). The tag line is Myriad Pro Light at 80% horizontal scale. Keeping the logo symbol in one color only is recommended and encouraged. Before assigning a new color, please see the colors that are already in use. 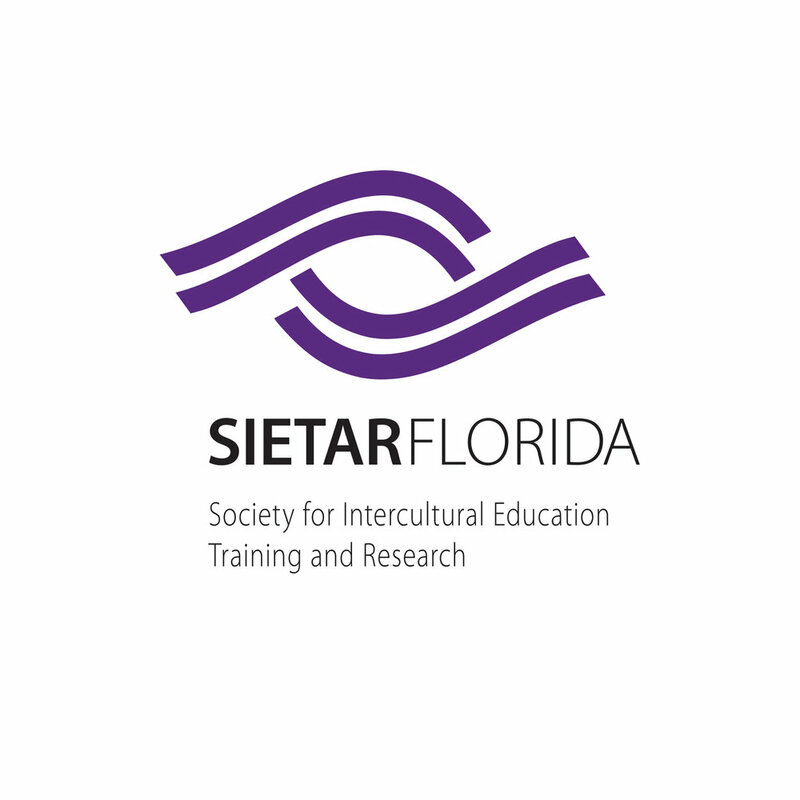 We advise that your new SIETAR logo is created by a professional graphic designer following the guidelines above. Lubosh Cech, the original logo designer, will be happy to assist you in creating your logo. Includes creating a new logo for your country or region, uploading the files to the SIETAR Logo page, and sending you the logo files as Adobe Illustrator (.ai) and JPEG (.jpg). Please specify the color you'd like to use for your new logo as RGB and CMYK values. A one-time payment for posting your existing logo on the SIETAR Logo Webpage. Please provide 2 files: Adobe Illustrator (.ai) and JPEG (.jpg). Indicate the color values as RGB, CMYK and optionally as Pantone. The US regional logos are based on the SIETAR USA logo and share the same color (RGB: 73-39-127; CMYK: 89-100-14-4). Two lines of communication are coming together from the opposite sites forming a center. You may notice this center is open and empty. Yet, this "emptiness" is the most important part of the logo image representing the unmanifested creative potential. Openness permeates the entire image ­— the lines do not close or touch. In my view, these attributes are the foundation of both interculturalism and education. They stand in contrast to the tendencies we so often see in the world: self-righteous dogma, bigotry, and intolerance. The curves that come together from the opposite sides are the up-side-down versions of the same image (we are fundamentally the same regardless of where we came from). Visually, you can perceive the logo image as an eye, two waves or two hands.